​ The scheduled speaker is not available. The Art of Floral Design was presented by Rev. Frank (Sonny) Gada at the April meeting. Here he is at work his designs. The floral pieces were raffled off at the close of the meeting. Please see our Photos page for additional pictures. Daffodils and Primrose Sunday Morning How Does Your Garden Grow? An Easter Flower Arranging Workshop was held for members on April 15 and here are two of the creations from the workshop. More to see on our Photos page! 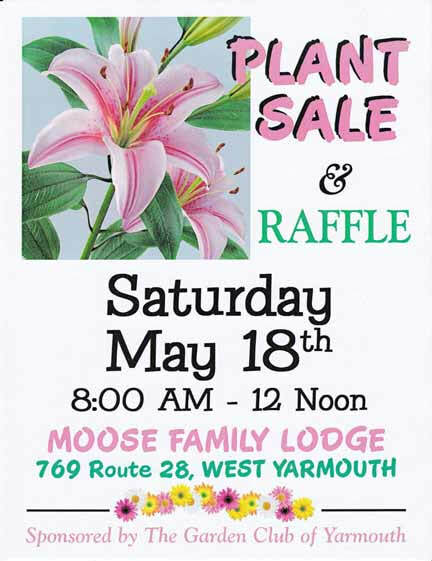 Annual Plant Sale and More! All members are expected to participate. 45 minute guided tour; then peruse the gardens at will. Our complete calendar is posted on our 2018-2019 Activities page.